The Minister of Internal Affairs does not think, that dismantling of the tent camp of supporters of former Georgian President Mikheil Saakashvili on March 3, 2018, was, in fact, a forcible dispersal of the protesters. It was an adequate decision by law enforcement agencies to dismantle tents where ammunition was found: nine RGD-5 grenades, Molotov cocktails and five smoke bombs. “I do not think that this is called “the forcible dispersal”. When you talk about the violent power dispersal, let you watch a video from 2007, when Saakashvili dispersed protesters in the center of Tbilisi. 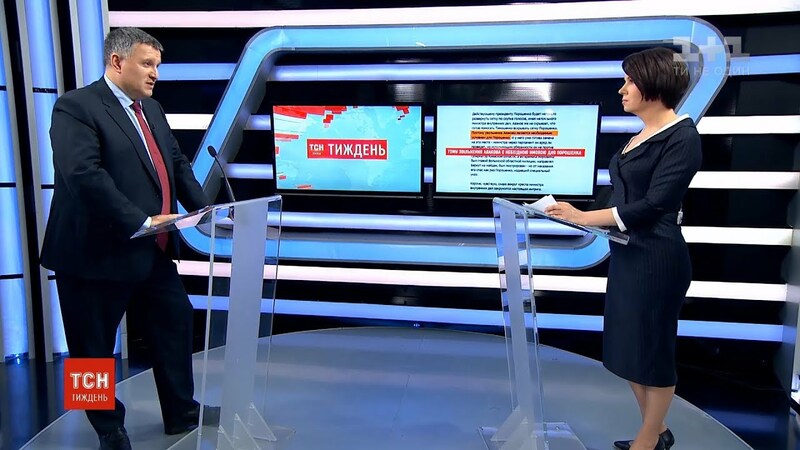 The Kiev court issued two rulings on the conduct of the search, and when during the search law enforcement officers discovered the weapons, it was decided to continue and seize completely everything that was in the tents. It was a conscious choice and, in my opinion, it was an adequate decision”, – said the head of MIA. As a result of the search of the tent camp near VR were detained 117 people, who resisted the police. Within four hours almost all the detainees were released after identification their personality. Criminal proceedings were initiated in respect to two persons, and one person was put on the wanted list. “Nobody likes the photo where three people are standing in the snow on their knees. But whether you like it or not, this is the common police practice all over the world: until a detainee is delivered by the special vehicle to the district police office, he/she is put on the ground face down or forced to stand on his knees or to squat. The picture is not good, but let’s look from another side: The face of one policeman was burned by a firecracker, another policeman had his nose smashed, and on the previous day three policemen had their collarbones broken by clubs, and they are now in hospital in serious condition”, – stated the minister. The head of the MIA stressed that out of 117 detained protesters only 11 persons are participants of the ATO. But among the policemen and national guardsmen who took part in the operation near the Verkhovna Rada, about 200 persons were participants of the ATO. More than 100 people were awarded military orders for their courage and bravery during the service in a combat zone in the east of Ukraine. Thus, the declarations of some politicians about the “dispersal of veterans” is simply populism and distortion of facts. “I was the commandant of the Maidan, and I know quite well what Maidan was, and what is this tent camp. I consider being an unacceptable situation when one hundred meters from VR there are tents with ball grenades, which can be used by inadequate people. 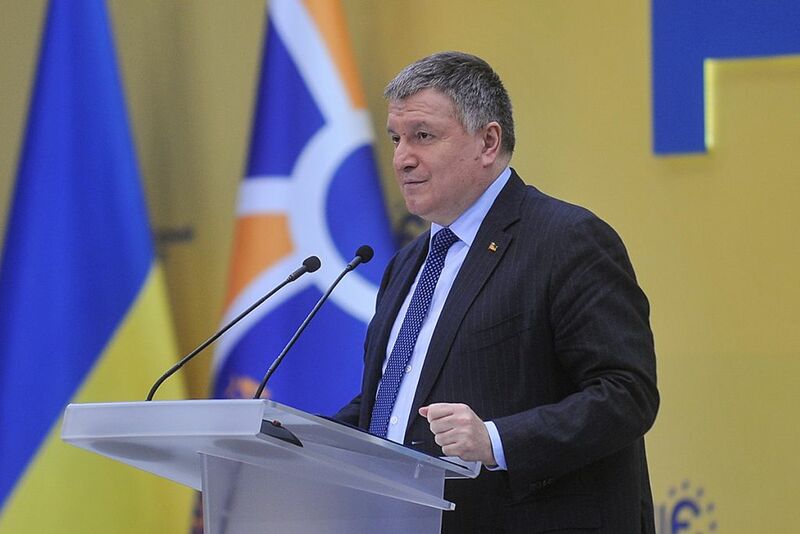 And as to those who talk about bloody dispersal and comparison with Zakharchenko, let them see the video of 2014”, – stated Arsen Avakov. On October 17, 2017, near the walls of the Verkhovna Rada in Kiev, a rally was held with the participation of representatives of various political forces and public organizations. They demanded to abolish the immunity of the deputies, to create an Anti-Corruption Court, and to introduce a proportional electoral system with open lists. Participants of the rally announced that the action would continue indefinitely, and pitched their tents. On November 19, 2017, the majority of the public organizations participating in the rally announced that they would continue the protest “by other methods” and left the tent camp. But the public movement “Rukh Novykh Sil” (New Forces Movement) decided to continue the action near VR. The tent camp consisted of two parts, one of them was located on the roadway of Grushevsky Str., and the second – in the Mariinsky Park. On February 27, 2018, participants of the rally near the Verkhovna Rada clashed with law enforcers. The protesters threw firecrackers and other items towards the law enforcers. This resulted in injuries to 14 law enforcers, including serious ones. 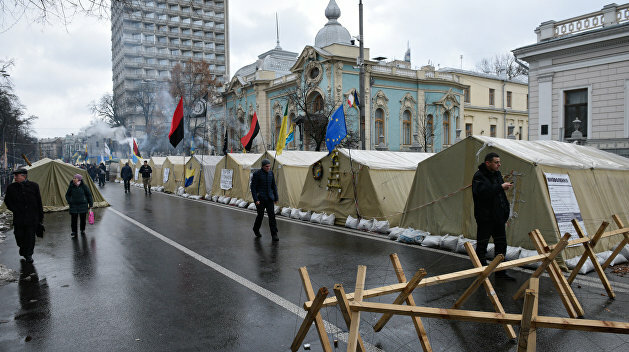 In the morning of Saturday, March 3, during the conduct of investigation acts in the tent camp near the Verkhovna Rada, the police seized items similar to grenades, namely: nine RGD-5 grenades, Molotov cocktails, and five smoke bombs. After that, the tent camp was demolished.